Residential VoIP customers have never had this many features at this cheap a price before. 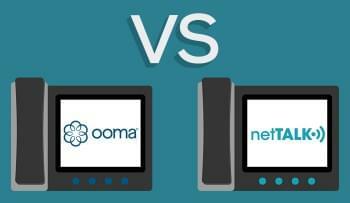 In this head to head, we compare Phone Power to VOIPo to see which residential VoIP provider has the best features and the best price for you. VOIPo Exclusive Features: Distinctive ring, SMS controls, busy signal/voicemail toggle, call recording, free or premium 411, outbound caller ID block. The free and premium 411 can be toggled within the assigned vPanel account. VOIPo has been my top pick so far in residential VoIP based on price alone. Phone Power really can go feature for feature with VOIPo, and at a competitive rate. Both Phone Power and VOIPo have address books, privacy rules, caller ID rules, and Do Not Disturb functions. In that respect, they are much the same. Phone Power has their own iPhone App, and VOIPo does not, but they both support SIP credentials, so you can use a SIP softphone for either provider. They both have failover, which means if the service is unavailable, calls can be set to either go to voicemail or forwarded to another phone number. Both Phone Power and VOIPo have speed dials, so you can press one or two digits to dial a favorite number. Phone Power tops out at 99, but VOIPo has as many as you can remember. Phone Power has number of features worth looking into. 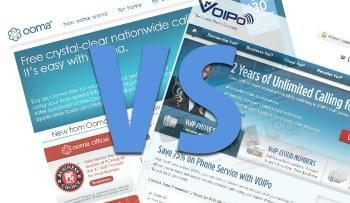 Phone Power offers a free “cloned” second line with the same phone number, and VOIPo does too. But Phone Power gives the option of having a second phone number, and having it be cloned too. That feature does come at a premium, though, it doubles your monthly bill. Still, for busy households, that’s quite a feature, and very affordable. VOIPo has a limit of two concurrent channels. When a third call comes in, either the first or second call must be dropped to answer it. Both VOIPo and Phone Power have free automated 411; VOIPo customers can toggle between free 411 and a $1/usage live operator with the vPanel, and Phone Power customers dial “0” to make a $3 operator-assisted call. Phone Power has a “Fax Catcher” that sends faxes as PDFs to email, yet no capacity for outbound faxes. VOIPo has just the opposite—they include free outbound faxes, but to receive faxes you would need a dedicated number for $5/month or $36/year. Phone Power has both a Click2Call and a remote Click2Call. If you are at home and using the vPanel, just click on a contact, and it will call them and you at the same time. It’s a neat convenience feature. With Remote Click2Call, you can link your Phone Power number with another, and get the outbound caller ID of your own number, or save money on international rates. VOIPo, though, has some very strong features of its own. My personal favorite is the customized ring tone. Once you assign a number and a ringtone in the VOIPo portal, whenever that number calls you, the phone rings that ringtone. It’s great for busy houses. VOIPo has a number of SMS-based innovations. When you get a voicemail, in addition to getting an email notification, you get a text that shows the caller ID, the number, date, time, and message length. It all fits in 160 characters, which is the US standard text limit. VOIPo subscribers can activate and deactivate features on the fly just by texting their phone. The vPanel has a page that lists all the star codes that can be used to control their phone, such as call forwarding, setting a failover number, and set Do Not Disturb. VOIPo has one feature that’s a blast from the past: A busy signal. If you so choose, you can set calls to go to call waiting, to voicemail, or to a busy signal. You can also set calls to go to a busy signal when DND is activated. 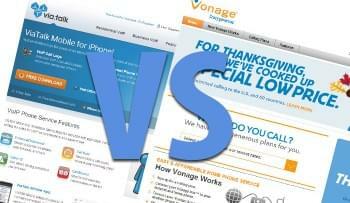 The Final Bell: Phone Power can really go toe-to-toe with VOIPo. Phone Power offers a very hefty feature set, including some exclusive features, seven-day US-based tech support, and competitive international rates. VOIPo has some great exclusive features of its own, and still maintains the blowout price. Phone Power also come out ahead in Tech Support with an extra two days a week availability. With monthly costs being nearly identical, it comes down to your personal preferences on features. Each has their own set of unique and shared features which will best fit your household. Voipo out, PhonePower — IN! We had Voipo for about 3 years and had endless technical problems. It would regularly need rebooting, outgoing calls constantly failed in a myriad of unpleasant ways. Even calls that were underway would suddenly disconnect. Their tech support people tried and tried but could not get the device/system to be reliable. We then got a PhonePower account. The device was shipped to us no-charge, it came right up and the call quality is excellent. It has been up now for about two months and we have YET to need to reboot, all calls in and out have been perfect. It’s what a phone should be. They even ported our number for free. My only concern is that they overbilled us for a one-year subscription, I had to call them and get them to give us the offer that’s on the web page. They backed down the price no problem. No regrets. PhonePower is the bomb!